You are a human, you are complex. You cannot use the same 5 exercises for all low back pain. There are many causes to low back pain. Spinal stenosis, herniated disc, fracture, sacroiliac dysfunction, piriformis syndrome, mechanical back pain, hypermobility, hypomobility, spondylosis, spondylolisthesis, etc. While there is some overlap in treatment, there are some exercises that work for some conditions that will absolutely make it worse for other conditions. Spinal stenosis means that there is a narrowing in the spine where the nerve exits. This could be from degeneration of the disc, arthritis, or bone spurs. For orientation: the big bumps of the vertebrae are the spinous processes. These are the bumps of your back. Now picture what happens when you bend forward at the waist like you are touching your toes. The vertebrae gap in that area called the ‘foraminal space’. This reduces the pressure on the nerve and now your sciatica symptoms go away. If you lean back like doing the limbo, the opposite happens. You crush down on the nerves. Symptoms return with a vengeance and now it feels like you are standing on a searing hot frying pain on one foot. With a herniated disc, everything is reversed. When an intervertebral disc ruptures, it usually pushes backward. We have a thick ligament on the front of our spine which prevents the disc from herniating forward. Depending on the severity, when you lean back into extension, you can theoretically ‘tuck’ in the herniation. Bending forward does the opposite, those fluids push back further and you can exacerbate the pain. There are other considerations as well. Did it rupture to one side? What if you have both stenosis and herniation? Throw in a bone spur, now what? By the way, it’s the norm to have more than one condition. Did you know arthritis of the spine is the most common form of arthritis? So you see how there is not a one-size-fits-all answer. So you got an MRI, and found a bulging disc at L4-5. In your thorough research online, you found McKenzie exercises. Which is probably the right exercise for a bulging disc. Here is yet another issue. What if your sciatica symptoms are not from the disc at all? All too often I see it in my clinic. A patient has back pain, goes to their physician. Imaging reveals a bulged disc. The physician recommends surgery, patient agrees, and then a few weeks later there is no change in symptoms. All along it was just a tight muscle. This is the problem with imaging; the medical field has become reliant on it. 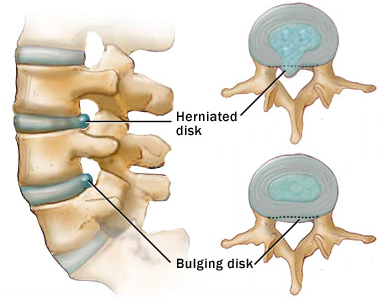 Some studies have shown that 64% of people have a disc abnormality but have no symptoms of back pain (Jensen et al., 1994). I always tell my patients that when you see a medical provider, think about what tools they have in their tool box. That is generally what they are going to recommend. A physician has needle, knife, or pill. That is how they know how to solve it, and that is not wrong. But it just not be right for you, right now. Get multiple opinions from different providers. Just keep in mind there is usually more than one way to solve a problem. The question is, how do you want to solve it? Jensen, M., Brant-Zawadzki, M., Obuchowski, N., Modic, M., Malkasian, D. and Ross, J. (1994). Magnetic Resonance Imaging of the Lumbar Spine in People without Back Pain. New England Journal of Medicine, 331(2), pp.69-73.